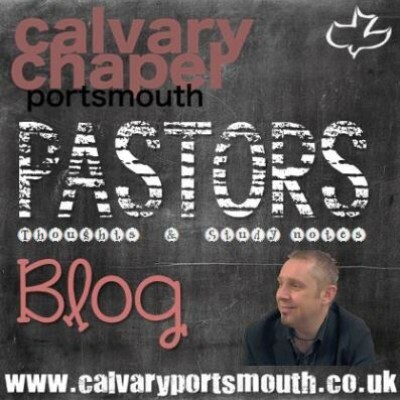 Home > Posts > Pastor's blog > Lots of Questions! On the Tuesday before the Crucifixion (that would take place on the Thursday of Passion Week) Jesus went back into Jerusalem from Bethany (where He had been staying) to do battle with the Jewish leadership. We see Jesus rile the Pharisees by exposing that they were seeking to kill him – which they were, but they didn’t want the crowd to get wind of it for fear that public sympathy for Jesus would scupper their plans. Jesus tells the parable of a ‘certain man’ (God the Father) who planted a ‘vineyard’ (the Nation of Israel), and set a ‘hedge’ around it (The Law), and digged a ‘place for the winefat’ (Jerusalem), and built a ‘tower’ (the Throne of David), but then went away for a while (see Hosea 3:4) and left His vineyard in the care of the ‘husbandmen’ (the Jewish Leadership). Jesus tells of how, at the appointed time, God sent His servants (the Prophets) to the Nations of Israel, but they had been rejected, shamefully treated, stoned and even murdered. Jesus then tells of how the Son (Jesus) of the ‘Certian Man’ (God the Father) was also sent and killed. Bear in mind, this was only two days before this (the crucifixion) would happen, and the Jewish leadership actually wanted to avoid arresting Jesus over the time of the Feast – something that was now becoming a much harder prospect! They were losing ground and had to act fast. The plan to arrest Jesus needed to be stepped up! After a short while (probably less than an hour later), the Pharisees come back, but this time with their own enemies, the Herodians! The Herodians were loyal to Rome, the Pharisees despised Roman rule – but they now perceived they had a common threat (at least that is how the Pharisees must have spun it to the Herodians!). Together they try to outwit and trick Jesus regarding the hot subject of paying Taxes to Rome. They thought that Jesus would have no way out of this one! Either he would show Himself a traitor to Rome, or a traitor to His own people and country of Israel. Yet Jesus is the one who made the heavens and all the laws that govern the solar system! He was not about to fall for their cunning! In a moment of time, Jesus cuts between the physical world and the spiritual. The coin had Caesar’s image, so belonged to him. We have been made in God’s image to belong to Him! Seeing the Pharisees taking a battering, the Sadducees now step up with a question about resurrection. Jesus slices through their shallow theology with the Word of God and shows that resurrection is part of God’s plan! (Paul comprehensively addresses this question in 1 Corinthians 15). Finally, as his detractors are running out of steam (and ideas! ), a scribe steps forward and finally asks a good question. Jesus emphasises the importance of the heart in serving God and our fellow men. To conclude the chapter, another object lesson on serving God is recorded by Mark as he recounts the woman who gave her last two mites. It is not about how much you give, but about the heart. We are called to give Him all, not out of a sense of obligation, but out of gratitude. And not just money. Too many Christians give what doesn’t cost them. Many are happy to give money, as if that somehow relieves them of their obligation to serve in any other way. May you be blessed and encouraged by these comments from our verse-by-verse study of Mark 12. Please join us each Sunday (10:30 -12:30) if you can.